Why are Developers Not Developing Applications for Windows? The actual answer to this question is that basic premise of the question is wrong – developers are and will continue to develop for Windows. The question is a bit like saying “Why are all web developers using React?” and is driven by the typical over-hyped communities that latch onto the latest shiny thing that some developer has hacked together in their spare time (or equally as bad the latest language/framework/library released by Microsoft, Google, Facebook etc). Now, I’m not going to write here that Microsoft has made it easy for Windows developers, nor that the latest incarnation of their developer platform, Universal Windows Platform, has been in any form successful. What I do want to point out is that there are a massive number of applications still written, maintained and even created for Windows every day, and that building applications for Windows allows you to target an astonishingly large market (think of the total number of Windows based devices that are targetable). So if there are so many developers still writing applications for Windows, why does the market think that Windows isn’t worth targeting? and why are there so few developers wanting to invest into learning the latest features of UWP? I was doing a bit of trawling today looking for some content on why developers should build for Windows and came across this post entitled “Choose Your Platform” which kind of confuses me – I typically use “platform” to refer to the operating system an application is to run on but interestingly Wikipedia defines a computing platform as something more generic that can be applied at different levels. Interestingly enough, from the url of the page you can see it was originally called “Choose your technology” which I guess is even more vague. What’s interesting about the “Choose Your Platform” page is that it dumps UWP, WPF and WinForms into one bucket and Win32 API into another…. I feel this is kind of weird. It also completely negates all the higher level frameworks/technologies (Electron, PWAs, Xamarin Forms, React Native etc) that could be used to build applications for Windows (and other platforms). I clicked around a bit and went back up to the parent page “Develop Windows desktop applications” – here, as you can see from the image, the situation gets even more laughable…. In all seriousness, did Microsoft find some programmer out of the late 90’s to write this: “Create Windows desktop applications that your customers can use at work and play using Win32 and COM APIs to leverage features of the operating system”. Over the last couple of years it’s been evident that Microsoft views Windows, and the associated app platform, as playing second (or perhaps third) fiddle to everything they’re selling that starts with Azure. Furthermore, what cycles have been invested in the Windows developer platform have been retrained on uplifting all those WinForms and WPF applications so that they can be distributed via the Store, take advantage of all the security/identify context that comes with Windows 10, and of course all the new APIs that are being added to UWP. What’s missing is any form of marketing that explains in clear terms why companies, and developers, should care about Windows development? 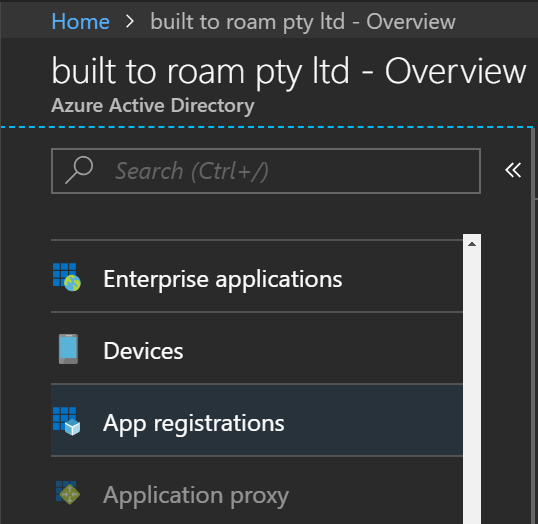 It’s not enough to say "you can build an app that uses ink” or “you can build an app that connects to Azure” – seriously I can build an iOS/Android app that does both of those just as quickly as I can for Windows. The big value proposition of UWP was it’s ability to write once and run anywhere – this all but died when Windows Phone was buried (RIP). Xbox requires so much hackery and patching the user interface and interaction model that it’s almost quicker to build a separate app, and Surface Hub (v1) doesn’t support .NET Standard 2.0. Seriously, and we wonder why Windows is such an after thought. So, let’s adjust my opening question to “Why are companies ignoring Windows when building applications?” – and the answer is because they don’t see any benefit over what they can build via a responsive website. It’s as simple as that. Microsoft, lift your game. Fix your online presence and start promoting your developer platform again. 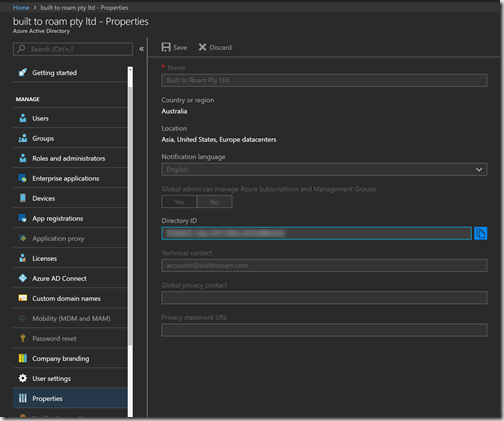 In this post I’m going to do a bit of a refactor based on the work completed in the previous post where we added code directly into the MainViewModel to use the Azure Active Directory Authentication Library. This would be fine if the MainViewModel was the only view model in the application that needed access to the Authenticate method. As I will probably want to make use of it elsewhere, I’ve decided to refactor that code into a class called CredentialService. When I wired up MvvmCross a couple of posts ago, I did so without going into much detail on how the relationship between view models and their corresponding page is setup. I’m not going to delve into the inner workings of MvvmCross but suffice to say that there is some reflection magic that goes on based on the names of the classes. A view model with the name MainViewModel will be paired with a page called MainPage. In addition to the magic that glues the view model and pages together (and thus the navigation model) MvvmCross also has a quite powerful dependency injection framework. The CredentialService that I’ll be creating will be registered with the DI framework as a singleton that can be easily accessed. 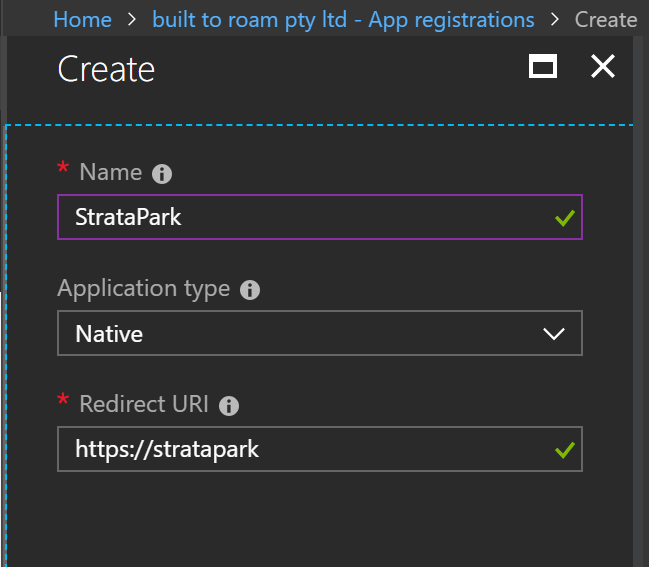 Let’s start by creating the CredentialService and it’s corresponding interface ICredentialService in a folder called Services in the Core library. The last step is to make use of the service in the MainViewModel. We do this by adding a parameter of type ICredentialService to the MainViewModel constructor. And that’s it – we haven’t changed any functionality but the solution is better organised and structured in a way that services can easily be added without cluttering up view models. 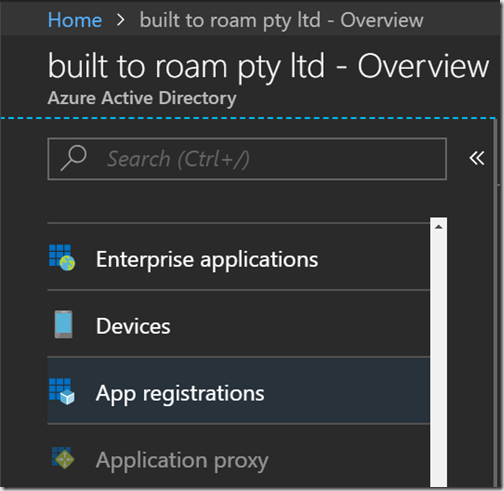 Now that we’ve got the basics of an application, we’re going to add some authentication using the Azure Active Directory Authentication Library. 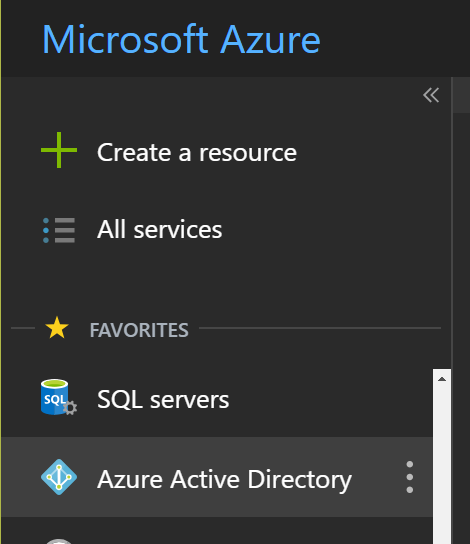 We’re going to start with registering an application with Azure Active Directory (AAD) (the docs do cover this here but I figured I’d cover it again anyway). 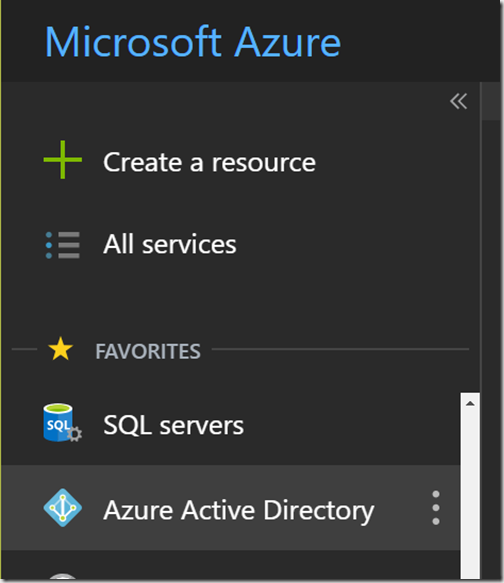 Start by heading over to the Azure portal and selecting Azure Active Directory from the set of tabs on the left. Note that the Sign-on URL doesn’t have to be a real URL, just one that both the portal and the app know about – we’ll use this later! After you’re done creating the app registration you should be able to retrieve the Application ID. Save this information for later as we’ll need it when we’re authenticating the user within our application. tenantId – This is the identifier of the tenant that you’re authenticating against. This can be the URL or GUID of your tenant. Add the ADAL library to all projects. 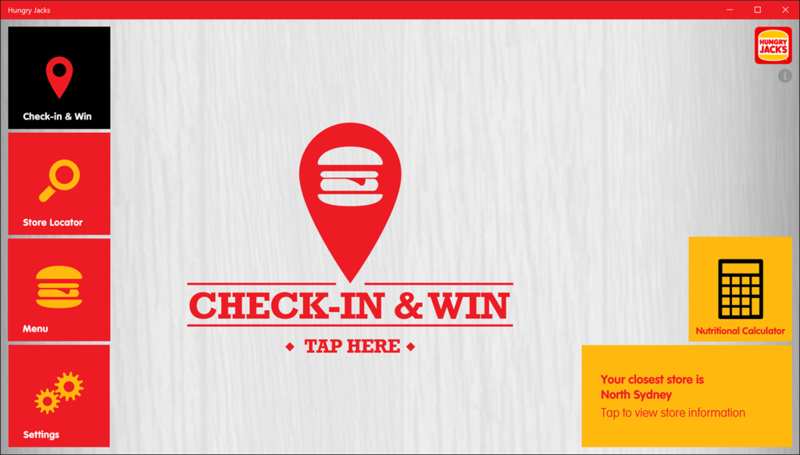 Let’s start with the UI and add a button to the MainPage. The only thing missing is the PlatformParameters (bolded in the code above). As the name suggests, these are platform specific parameters required by the ADAL library. For each platform we need to expose a property that returns an IPlatformParameters within the MainViewModel.Platform.cs for each platform. Note: you need to provide the NetStandard implementation otherwise the NetStandard target won’t build. If your Android application authenticates but doesn’t ever return the access token, chances are that your OnActivityResult override is either missing, or on the wrong Activity – I spent a bit of time trying to work out why iOS and UWP worked but Android would just hang; turns out I was missing this override. We need to make a few adjustments to the Core library. 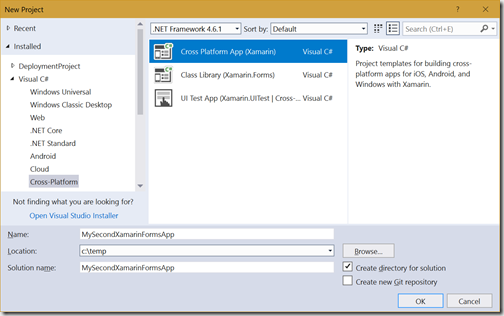 First up, we need to add an App class to Core that inherits from MvxApplication. For the moment the only thing this class is going to do is to set the initial view model of the application. One of the core ideas behind MvvmCross is that navigation is driven from view models, rather than at the view level. By setting the initial view model, we’re effectively defining which view will be shown when our application launches. We’ll update MainViewModel and MainViewModel.Platform.cs (all four) to add ViewModels to namespace. We’ll also update MainViewModel to inherit from MvxViewModel. Now that we’ve updated the Core library, we’ll turn our attention to the UI library and the head projects. 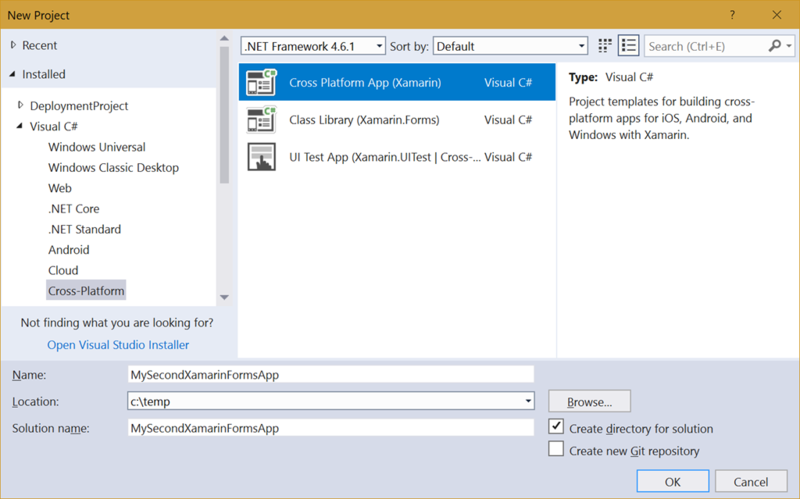 We’ll add the MvvmCross.Forms NuGet reference to all projects, except Core. The only other change we need to make to the UI library for the moment is to update MainPage to inherit from MvxContentPage instead of ContentPage. 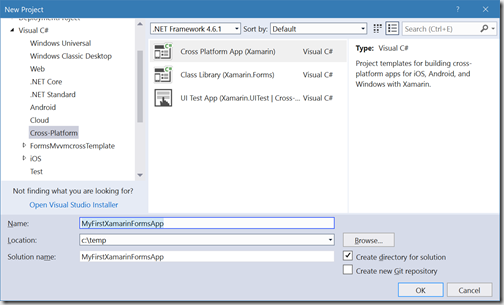 You’ll need to do this in both the xaml and xaml.cs files. However, I would recommend dropping the inheritance from the xaml.cs file as it is not required in multiple places. Next up we need to adjust each of the head projects (UWP, iOS and Android) so that they use MvvmCross to launch the Xamarin.Forms views. Rename MainPage to HostPage (in both MainPage.xaml and MainPage.xaml.cs, and the filenames themselves) in the UWP head project – we do this to avoid any confusion between the name of the page and any views that are automatically associated with MainViewModel. Also update HostPage to inherit from MvxFormsWindowsPage. Build and run the iOS application. Rename and update the MainActivity as follows. Again, we rename the activity to avoid confusion with any activity or view that would be automatically associated with MainViewModel. Build and run the Android application. 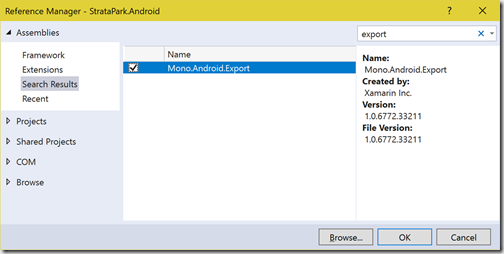 You may experience a build error when you attempt to build and run the Android application, relating to referencing the Mono.Android.Export library. In this case, use the Add Reference dialog to manually add the missing reference. 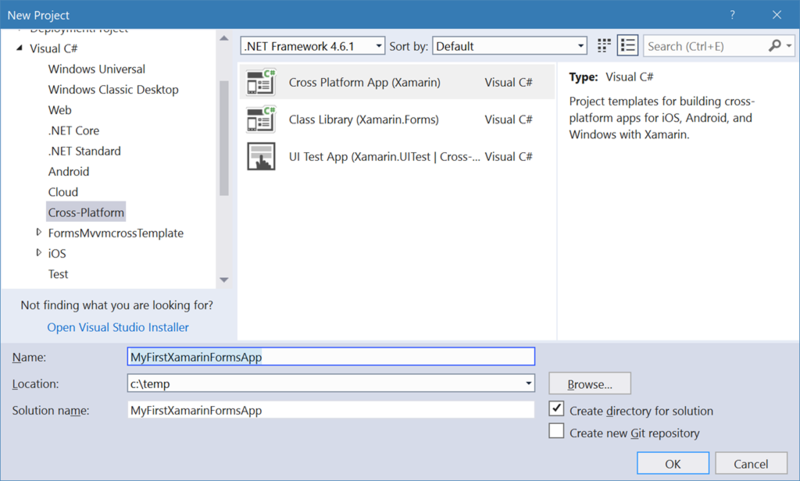 There you have it – all three platforms running Xamarin.Forms application powered by MvvmCross. Who broke my messaging app? Prior to the iPhone the majority of applications written were for desktop based devices, whether they be for a Mac or PC, or in some cases both. With the iPhone we saw an entire industry of mobile app development opening up from being a very niche, specialist field, into a field full of imposters who claimed they knew how to build a mobile application, just because they were now able to build and publish an iPhone app. The first generation of iPhone applications weren’t anything special and in fact if you compared the sophistication of most iPhone applications from that era to those being written for other mobile platforms, they were definitely a case of “beauty over brains” – You have to hand it to Apple, as they really did make it easy to build high quality apps that looked great, even if they suffered from a lack of substance. So hang on, how does this relate to my messaging app? Well, whilst the quality and complexity of mobile applications has increased, one thing that hasn’t is that they are all single window. 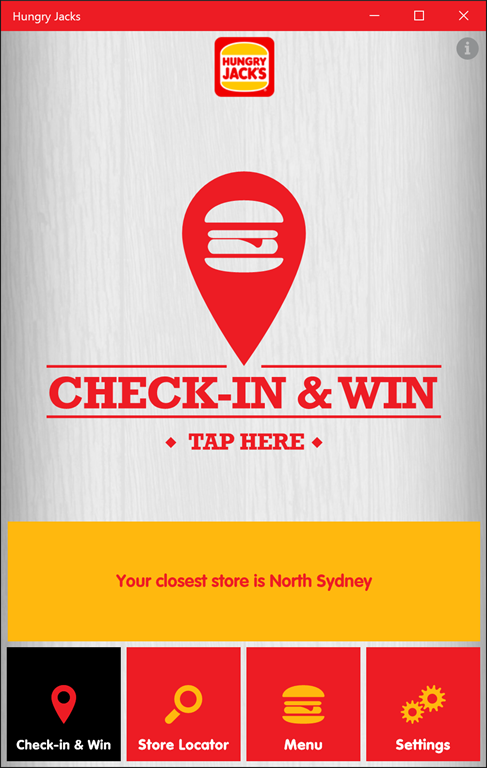 Due to the screen real estate, mobile application have a single window. With the introduction iPad and other tablets, we saw the use of split screen and master-detail style layouts but even these were all contained within a single window. In the context of a messaging application, whether it be Skype, Messenger, WhatsApp, Twitter etc, the layout is all basically the same – you have a list of contacts and/or groups, you tap into a contact or group and are taken to a chat interface where you can message. In the case of devices with more screen, often the contacts/groups will be listed in a pane on the left or right of the current conversation but in both cases, if you have multiple conversations going, you have to switch between active conversations. I have nothing against the single window view when working on a mobile device, and I think I’m ok with it on a tablet device but when we graduate to a laptop/desktop we enter a world of inefficiencies and poor user experience. My mobile comes with me virtually everywhere I go but when I’m working, or at home surfing the internet, I’m typically on my laptop (as an aside, I’m running the Surface Book 2 i7 15” and it’s an amazing bit of kit – highly recommend it!). I’ll often have a combination of Messenger, Skype, Teams, LinkedIn and Twitter open and will switch between conversations within each as required. However, typically at any given point in time I’ll be involved in one or two conversations, and it’s really annoying to have to keep switching between these conversations and whatever else I might be doing. For example I might be having a couple of DM conversations on Twitter but at the same time catching up with what’s been happening on my main feed – this means I have to keep switching between conversations, rather than being able to keep them both open at once. Now I think you can see where I’m going with this – I run an operating system that I think most of you will have heard of…. Windows…. not “Window” but “Windows” <<- plural!! Why is it that very few modern applications make use of multiple-windows? Well, it’s because of the iPhone – for the last decade app developers (and don’t forget all those app designers who can’t comprehend how an app can use multiple windows) have been building apps that only use one window because building iPhone applications was where the money was, and still is. It doesn’t help that Android apps are also predominately single window. 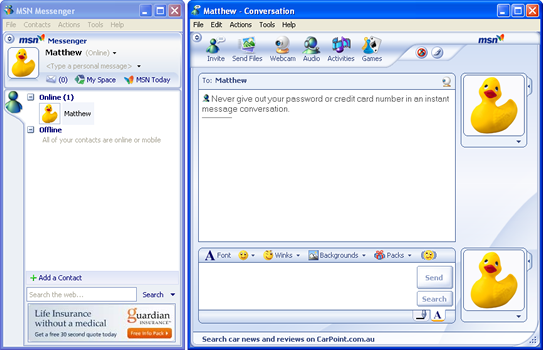 Whilst it was technically one window, it did support having multiple conversations open at the same time using child windows. Do you remember MSN/Live Messenger? It had multiple windows that you could open an arrange how you like. In fact you could force a window to stay on top of everything so it didn’t get obscured by other windows you might be switching between. Well the good news is that Windows app developers already have great multi-windowing support out of the box – you just need to build your application to take advantage of it (see https://docs.microsoft.com/en-us/windows/uwp/design/layout/show-multiple-views). The bad news is that I doubt any of the major messaging services will take advantage of this in the short term, so we’re going to be stuck with a sub-optimal experience. Neither Skype and Teams, both Microsoft products, have any form of multi window support. Messenger still looks like it has been thrown together by some intern at Facebook, so I doubt we’ll see any innovation there. Twitter is a PWA, so I’m not sure how easy it will be for it to take advantage of multiple windows – having said that, as a PWA it can access any of the Windows 10 APIs, so there should be no reason why it can’t spawn additional windows. I noticed the other day that Microsoft have added another app to the suite of apps that are available to Office 365 subscribers, Microsoft Whiteboard (https://products.office.com/en-us/microsoft-whiteboard/digital-whiteboard-app). On downloading it from the Store I was immediately impressed with the overall look and feel of the app – very professional and clearly showcases what can be done with the Windows platform. Where are the apps for other platforms? Being a developer I immediately ran the app through Fiddler and what shocked me was that PNGs are being uploaded. I haven’t delved into how the synchronisation process works when multiple people are collaborating but I can’t imagine any scenario where uploading PNG is efficient. If you look at what other shared drawing experiences do (eg http://cosketch.com) there is no sharing of image, rather the line segments are sent back and forth. Again with my developer hat on, this shared whiteboard needs to be made available as an Office 365 control that developers can simply drop into their application in order to integrate a shared whiteboard experience. As more applications are built that tap into the Microsoft Graph and leverage the fact that users are connected with either an MSA or an Office 365 account, having rich component such as this would significantly cut development time and make it easier to build amazing applications. Overall I’m impressed with Microsoft Whiteboard and hope that this is a sign of some of the great innovation that the Microsoft 365 platform will bring with it. In my previous post, Building Media Applications for the Universal Windows Platform (UWP) using the MediaPlayerElement, I covered the basics of building a UWP media application using the MediaPlayerElement. Towards the end of the post I showed how you can override some of the built in behaviour but I was yet to show you how you can adjust the visual style of the player or the controls. In this post I’ll do just that, I’ll show you where to find the built in styles and how to start customizing them, including some gotchas that you should be aware of. Let’s make a subtle change here by adding another Grid immediately after the TimedTextSourcePresenter with a semi-transparent Pink colour and a TextBlock to indicate that this is a customized player. You’ll notice that I’ve added this Style into the Resources dictionary for the page and that it’s an implicit style (ie I haven’t assigned it a Key) which means that any MediaPlayerElement on this page will pick up this style. You can of course set this Style either directly on the MediaPlayerElement itself or even define it in an application level resource dictionary. Note also that the IsHitTestVisible attribute is set on the Grid, otherwise it will block user input to the player controls as the grid sits over the top of the other elements within the MediaPlayerElement control template. If you recall from my previous post I intercepted the behaviour that steps the video back and forward so that I could customize this behaviour. Of course, this means that the step forward/backward icons aren’t accurate, since I’m not longer stepping back by 10seconds and forward by 30seconds. In order to override the icons on these buttons, I need to override the Style for the MediaTransportControls. Again the default Style can be found in generic.xaml – it’s really long, so I’m not going to copy the whole thing in here. Here’s a cut down version of the Style showing the changes to the FontIcon for the SkipBackwardButton and SkipForwardButton. You might be wondering where I got the new hex code for the FontAwesome font. 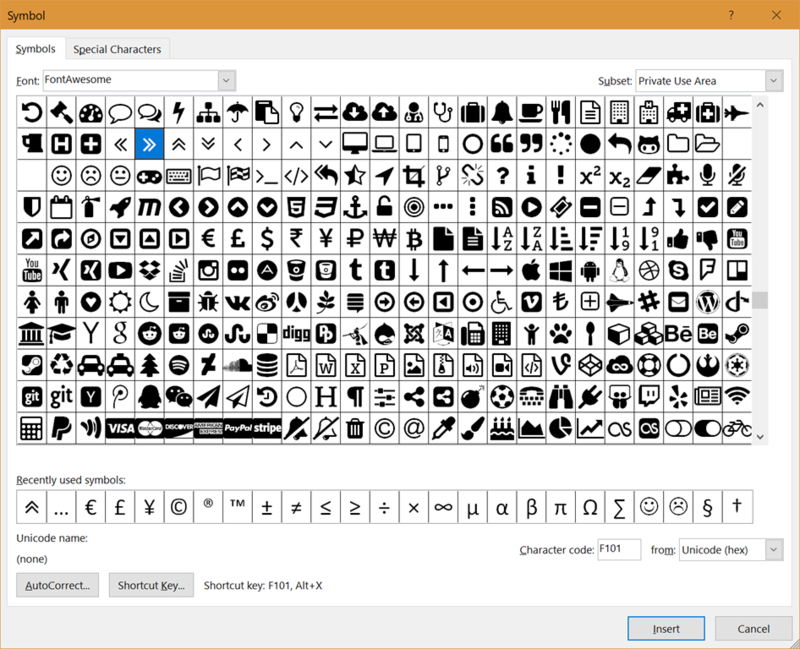 Rather than go online and having to hunt down hex values for the different characters within a font, if you open Word and go to Insert, Symbol, you can then select the Font and select the character you want. In the lower right corner it states what the Character code is. Remember that you need to make sure the font exists on the computer you’re going to run the application on, so you may want to consider including the font within your application if you pick a non-standard font. Unfortunately, here lies a major bug in the implementation of the MediaPlayerElement – if you press the full screen button, you’ll see that the Style for the MediaTransportControls has reverted back to the built in style. This happens because when the video runs in full screen, the MediaTransportControls are being hosted in a separate visual tree to the main part of the application - you can see this if you look at the Live Visual Tree. So, the question is how to handle this? Well the good news is that it’s surprisingly simple. 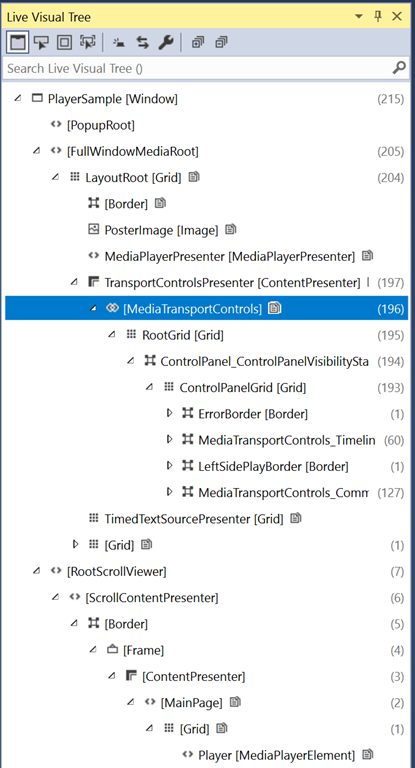 What’s happening is that as the MediaTransportControls are being attached to a different visual tree, they’re not able to resolve the Style defined within the scope of the page. 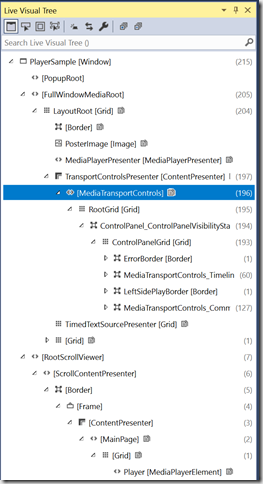 Moving the custom Style for the MediaTransportControls to an application level resource fixes this issue. The documentation online at https://docs.microsoft.com/en-us/windows/uwp/controls-and-patterns/custom-transport-controls indicates that you should use an explicit style – two things a) this doesn’t fix the full screen issue; you must define the Style at an application level regardless of whether you make it an explicit or implicit style and b) you can make the choice yourself whether to use an implcit or explicit style, depending on whether you want multiple different player styles (ie where an explicit style makes sense). When building a Universal Windows Platform application there are times when you’ll want a different layout/functionality for a particular platform. For the most part building applications across desktop and phone, other than dealing with different screen sizes and orientation, as a developer you can rely on a similar interaction model: mouce clicks and taps equate to roughly the same interaction for most applications. However, this is not the case with the Xbox – the interaction model using either the media remote or a controller relies on a focus state moving around the screen, followed by pressing the action button to select the currently focussed item. In addition to making sure that every control has an appropriate “in focus” visual, it’s essential to make sure that the flow of focus makes sense and that the user can’t get lost in the application (eg nothing focussed, or nothing appearing to be in focus, on the screen). 2. 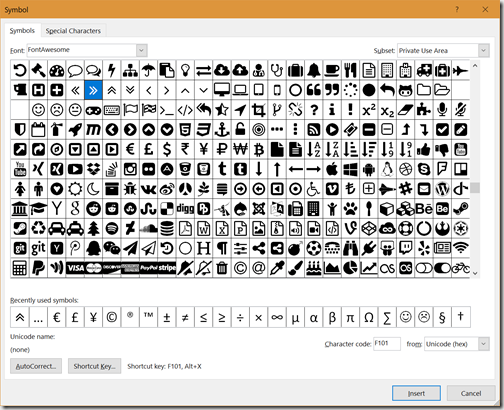 [XAML] The device family can be used to trigger different visual states. There are a number of state triggers that have been packaged together as a NuGet package - https://github.com/dotMorten/WindowsStateTriggers. /DeviceFamily-Xbox/Main.xaml // An Xbox specific XAML file defined using a folder to group together platform specific files. Using these three different methodds might seem easy enough at first but you start to realise how frustrating it is when you want to work on a specific feature (for example navigation) but you don’t have a specific device with you (for example there’s no Xbox nearby for running the app on). To at least partial solve this problem, here are three tips that will allow you to work on your Xbox app on your desktop. In this case the compilation constant DEBUG_PLATFORM_XBOX is used to override the actual DeviceFamily value. Note we’ve wrapped this using a #if for the DEBUG constant – this prevents the override accidentally being deployed as part of a release build. 2. [XAML] The DeviceFamilyStateTrigger (see https://github.com/dotMorten/WindowsStateTriggers/blob/master/src/WindowsStateTriggers/DeviceFamilyStateTrigger.cs) uses the DeviceFamily returned by the AnalyticsInfo class. A clone of this trigger can be made that relies on DeviceInfo.DeviceFamily (from ); this would activate states based on the overridden device family value. 3. [XAML] In order to debug the Xbox layout (eg MainPage.DeviceFamily-Xbox.xaml) on a desktop machine, simply rename the file to specify the Desktop device family (ie MainPage.DeviceFamily-Desktop.xaml). Combining these three tips allows for the majority of the application to look and feel like it would when running on an Xbox. Unfortunately some of the built in components do render differently on desktop and xbox – they will always render as per the actual device family, despite attempts to override this value. Over the past couple of years at Built to Roam we’ve built a number of media applications. Back when UWP was first launched, all media was played using the MediaElement, which was fairly familiar to XAML developers as it’s been the core element for any video or audio playback on Windows and Windows Phone for quite some time. Unfortunately the built in controls on the MediaElement were not easily stylable, resulting in most developers switching to using the Player Framework, which provided a host of capabilities out of the box such as closed captions, stylable regions and controls, and nice viewmodel architecture that made data binding easy. Fast forward a year and a bit, and there’s a new player in town, literally. The MediaPlayerElement is a new control that shipped with the Anniversary update (v10.0.14393.0) and is definitely the control that you want to use if you want to do fancy things, such as a persistent video overlay where playback continues as the user continues to navigates throughout the application – this can be achieved by detaching the internal MediaPlayer from one MediaPlayerElement and attach it to another. It’s important to note that whilst the MediaPlayerElement has been around since the Anniversary update, features have been added in both the Creators update and more recently the Fall Creators update, so make sure you take a look at the documentation to make sure you are using features that align with the minimum and target versions you have set for your application. In this post we’re going to look at the basics of using the MediaPlayerElement and how you can alter its styling. I’m going to start with a new UWP project, selecting the Creators update as the minimum version and the Fall Creators update as the target version. The MediaPlayerElement can be super simple to use – for example the following code is the simplest way to add video to a page that will automatically start playing. 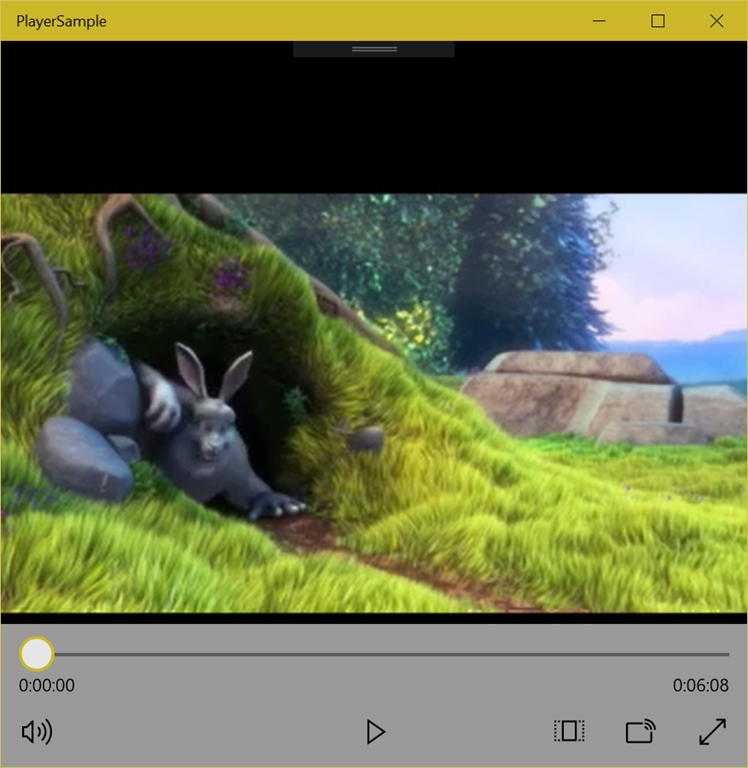 The following image shows the default controls with Progress Bar, Play/Pause, Volume, Aspect Ratio, Cast and Full screen buttons and as you’d imagine, they’re all connected to the appropriate action. 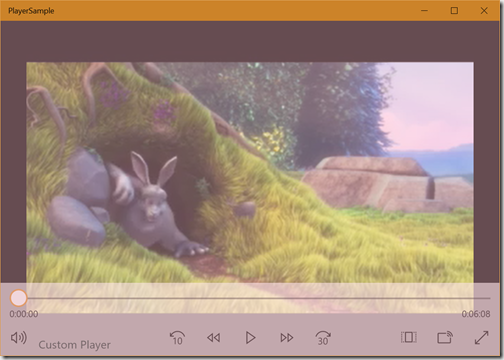 In this case, I’ve named the MediaPlayerElement in the XAML (ie by adding x:Name=”Player” to the MediaPlayerElement), and then when the page has been navigated to I’m attaching the appropriate event handler. 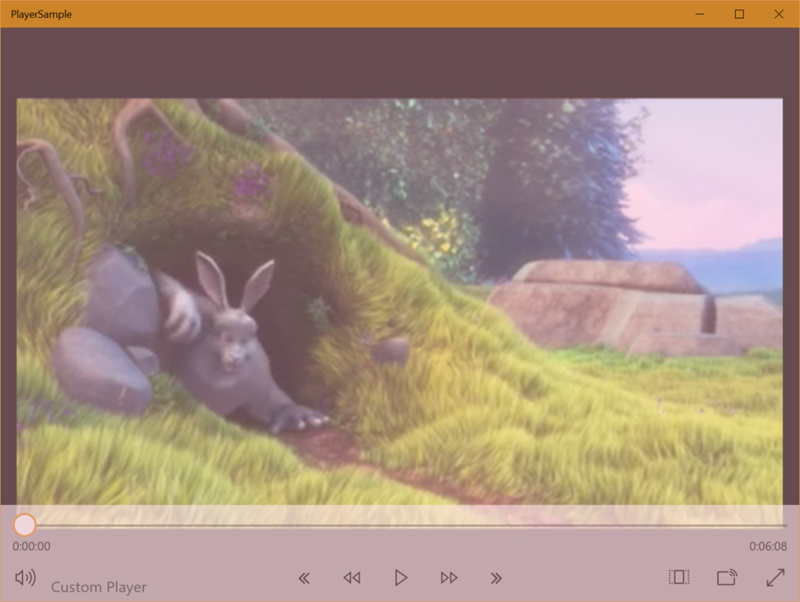 When either skip forward or backward is pressed, the position in the playback is set to the 2 minute mark and the args.Handled property is set to true, effectivey overriding the default skip behaviour. Big reminder: if you are attaching event handlers in code, make sure you detach them too (ie PositionReceived –= CommandManager_PositionReceived in the OnNavigatedFrom method). 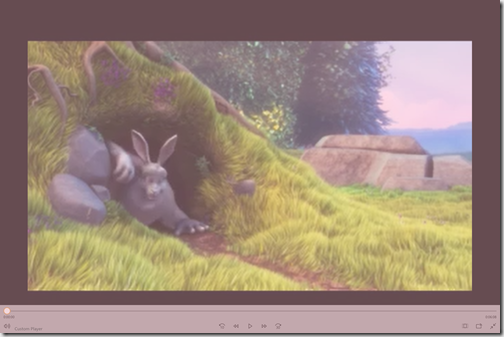 The fast forward and fast rewind buttons will increment the playback speed up and down by doubling the rate over the range of rates supported by the content (eg –8, –4, –2, –1, 1, 2, 4, 8). The MediaTransportControls class is clever enough to detect the supported range of rates and automatically disable the fast foward/rewind buttons when the limit on the range has been reached. In this post, you’ve seen the basics of adding a MediaPlayerElment and playing some content using the built in media controls. I’ll go into more detail soon on really customising the style of your player. Update: It seems that by setting the minimum version of the UWP application to the Fall Creators update, it appears that fast forward/rewind seems to work. I’m guessing it may have been fixed! In my earlier post Getting Started: Xamarin Forms with .NET Standard I covered how to create a new Xamarin Forms project which uses a .NET Standard 1.4 library to share the views between iOS, Android and UWP. At the time, whilst iOS and Android supported .NET Standard 2.0, support still wasn’t available for UWP. 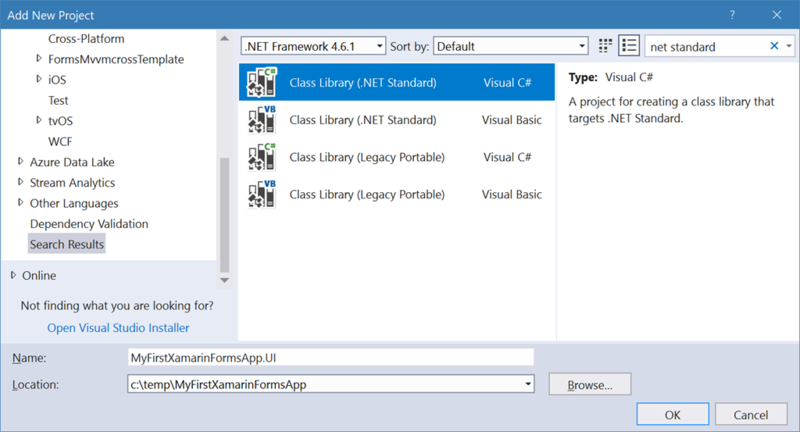 Almost immediately after publishing the blog post, Microsoft announced that Visual Studio 2017 preview 15.4 would allow UWP applications to reference .NET Standard 2.0 libraries. Unfortunately this didn’t work in the first drop, 15.4.0 Preview. This was just updated to 15.4.0 Preview 2 (Release Notes: https://www.visualstudio.com/en-us/news/releasenotes/vs2017-preview-relnotes), which brings with it the support we’ve been after. 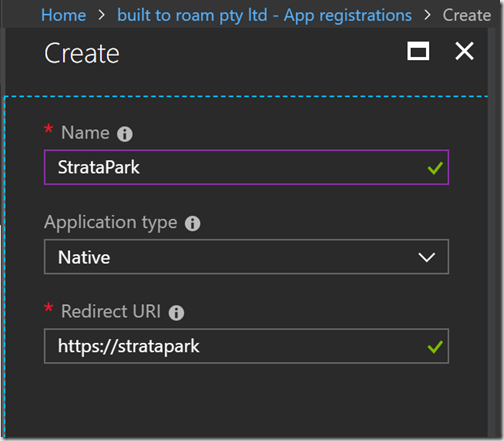 In this post, I’m going to repeat the previous post on getting started with .NET Standard, this time using .NET Standard 2.0 for the UI project. 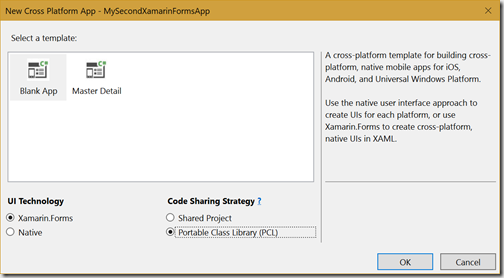 Select the Xamarin.Forms (UI Technology) and Portable Class Library (PCL) (Code Sharing Strategy) – Don’t pick the Shared Project option! Select the Insider Preview version of UWP for both Minimum and Target version – this is required for .NET Standard 2.0 support. If you want to target earlier versions of Windows 10, you’ll have to stick with .NET Standard 1.4. I’ll copy the App.xaml, App.xaml.cs, MainPage.xaml and MainPage.xaml.cs from the PCL into the .NET Standard library, before deleting the PCL from the project (see https://nicksnettravels.builttoroam.com/post/2017/08/26/Getting-Started-Xamarin-Forms-with-NET-Standard.aspx for more detailed instructions). The big difference is that I’m not going to change the default Target Framework, leaving it as .NET Standard 2.0. Next I need to make sure I add and upgrade references to Xamarin.Forms to each of the projects – this isn’t actually required, since the stable release of Xamarin Forms will actually work with .NET Standard but I’ve been working with the pre-release version quite a bit lately, so I’ll go with that for this example. I also need to remember to add a reference to the .NET Standard project to each of the head projects for iOS, Android and UWP. If you attempt to build and run at this point iOS and Android should work without issue. UWP will most likely compile but will raise an exception “Could not load file or assembly ‘netstandard, Version=2.0.0.0….” at runtime. 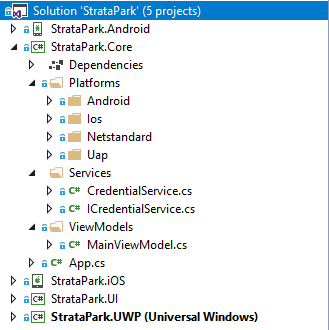 Essentially the UWP project structure has evolved a little, so you need to upgrade it. Now I think that you may be able to do this via package manager but I’ve never got it to work for UWP projects, so I will make the changes manually to the csproj file. Start by deleting the project.json file from the UWP project. Next right-click the UWP project in Solution Explorer and select unload project. Next, right-click on the UWP project node and select Edit MySecondXamarinFormsApp.UWP.csproj. Add a new PropertyGroup – this changes the way packages are referenced, eliminating the need for the project.json file, replacing it with references within the csproj file. Now you can right-click on the UWP project in Solution Explorer and select Reload project. Trigger a rebuild and now you should be able to run the UWP project. Next, select the template you want (I’m going with the Blank App), the UI Technology and Code Sharing Strategy. As I’m going to be walking through how to use Xamarin Forms, it makes sense to pick that as the option for UI Technology. Only select the Portable Class Library option. Don’t use the Shared Project – using a shared project will lead you down the evil road of using conditional compilation which will be a maintenance nightmare, just don’t use it. I don’t care how great you think it is, don’t use it. One last time, don’t use the Shared Project option. Now that I’ve expressed my opinion on code sharing strategies, let’s click the OK button and get on with building our application. 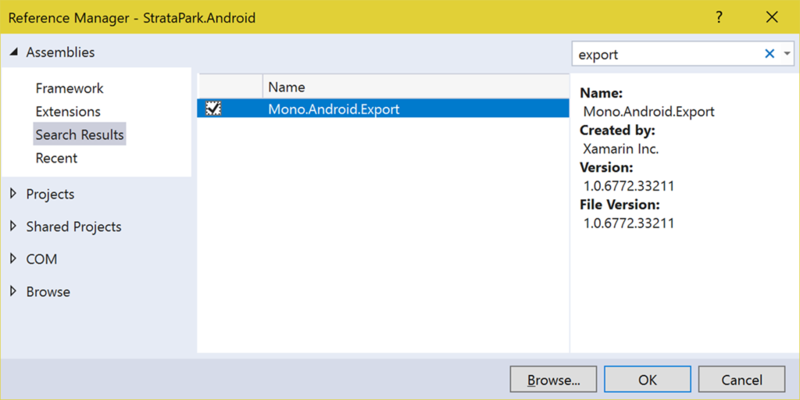 As the template goes through generating the head projects for iOS, Android and UWP, it will prompt you to select the target and minimum platforms for UWP. For the most part, unless you have specific target platform requirements for UWP, you can leave the default settings. 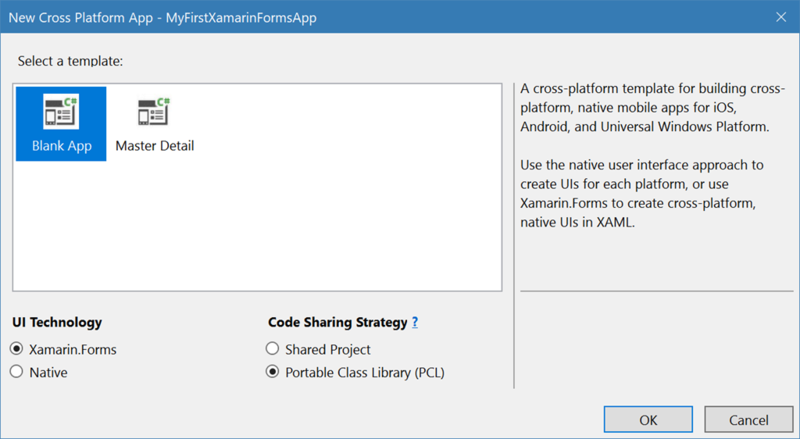 The generated solution will have four projects: three head or target platform projects (for iOS, Android and UWP) and a portable class library (PCL) which contains the XAML pages that will make up your Xamarin Forms application layout. In order to proceed with .NET Standard support we need to replace the PCL with a .NET Standard library. Whilst Visual Studio used to have a mechanism for upgrading a library from a PCL to a .NET Standard library, this has been removed. Now the easiest way is to simply create a new project, and copy the relevant files into the new project. 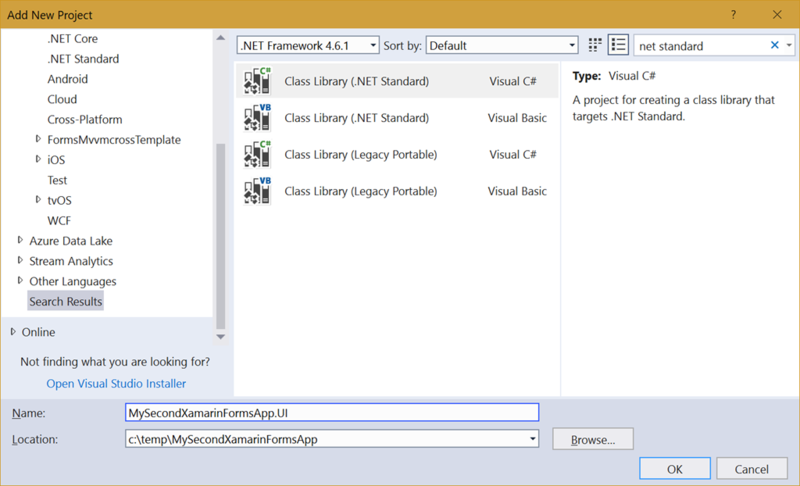 From the Add New Project dialog, select the Class Library (.NET Standard) template. I use the .UI naming convention for the library that will contain my XAML pages. Other developers use .Core but my preference is to separate my XAML pages away from my view models. Whilst technically with Xamarin Forms they can reside in the same library, I prefer to have a clean separation between them. I have <applicationname>.UI with my XAML pages in it and <applicationname>.Core with my view models, services, entities, essentially all the business logic for my application. For this example I’m going to keep it simple and we’ll just create the .UI project for the moment. I don’t need the default Class1.cs, so I’ll remove that. I’ll add a reference to the .NET Standard library to all the head projects. I’m also going to drop the .NET Standard version back from 2.0 (now the default in Visual Studio) back to 1.4. Whilst the tooling has been updated for the head projects for iOS and Android to support .NET Standard 2.0, of course, UWP is still lagging the field, as so you won’t be able to use a .NET Standard 2.0 library until that’s fixed. To be honest though, not much is lost by lowering the version of the .UI project to 1.4 since all the features of Xamarin Forms are still there. 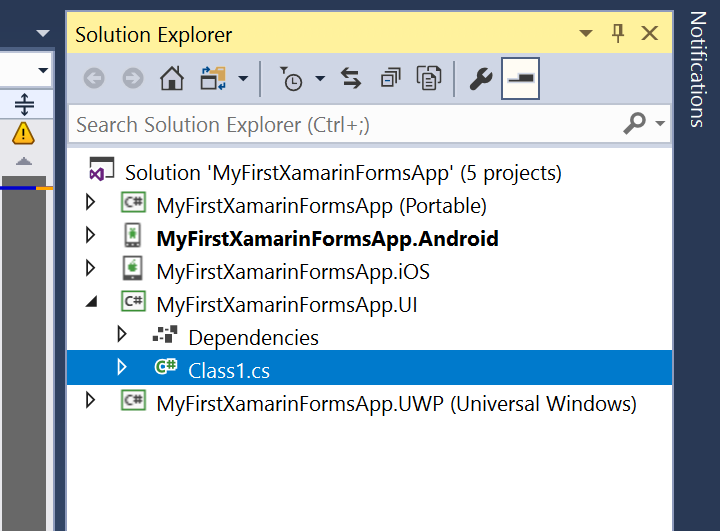 1>Done building project "MyFirstXamarinFormsApp.UI.csproj" -- FAILED. 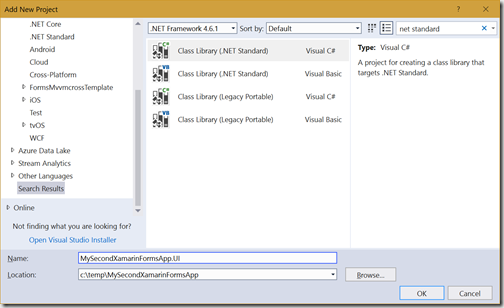 The last thing to do is to make sure that the .NET Standard library references Xamarin Forms. I’m going to do that by right-clicking the solution node in Solution Explorer and selecting Manage Nuget Package for Solution. 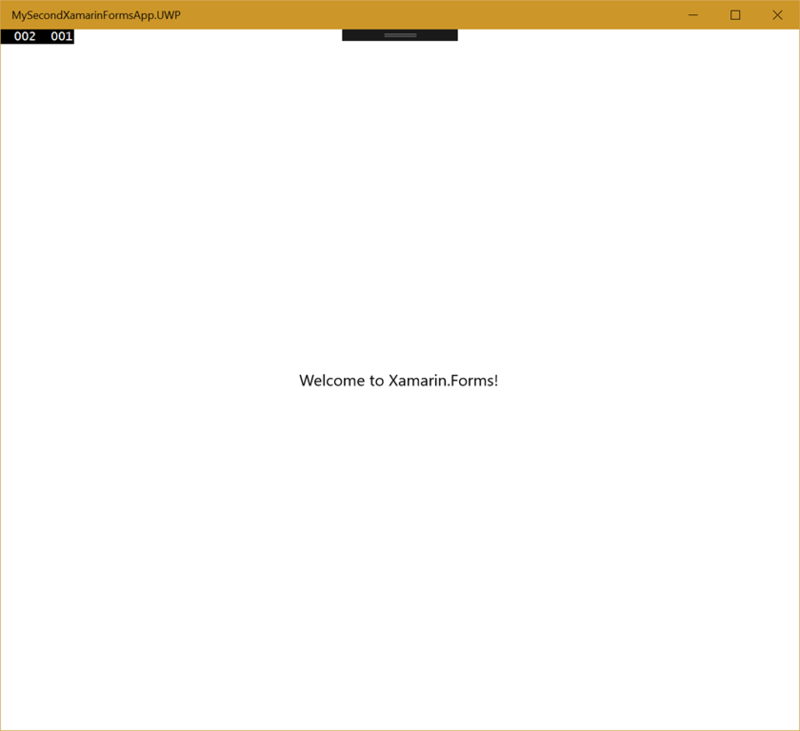 I’m going to select the new prerelease version of Xamarin Forms (which is the one where they’ve apparently added .NET Standard support). 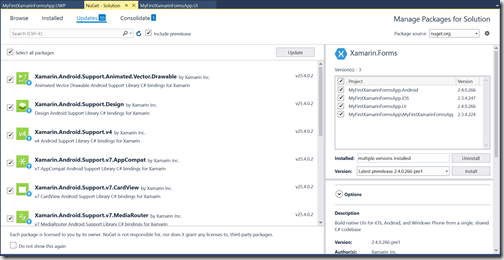 In addition to adding a reference to Xamarin Forms to the UI project, I also take this opportunity to upgrade all the package references in the application. Note that I’ve even selected the Android support packages – this used to be a big No-No but with the latest version of the tooling you can now go ahead and update them, and I would definitely encourage you to do so. Now, go make yourself a coffee – Nuget is slow, so slow! 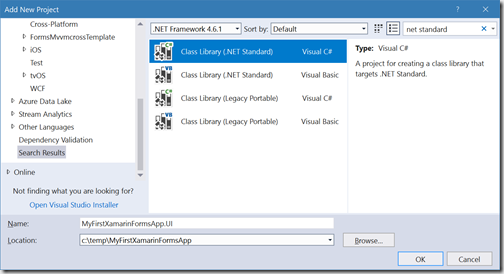 The good news is that once you’ve done all these steps, you’re ready to go with a .NET Standard based Xamarin Forms project. If you’re following this post to get started on your own project, you can finish up here, as you’re good to go. I’ll cover more on the BuildIt.Forms library in coming posts. This error makes no sense, and there’s nothing at all helpful to go on from any of the usual logs etc. A quick search only returned two links, one of which was to a GitHub thread (https://github.com/dotnet/core/blob/master/Documentation/ilcRepro.md) posted by Microsoft that talks about capturing a .NET Native Repro…. not quite what I was interested in. However, further down the post there’s a section entitled “Compilation Failure on Update 1” which lists almost exactly the error we were seeing. The section refers to a new feature called SharedLibrary but doesn’t really talk about how to turn it on or off. It does however link to another post https://blogs.msdn.microsoft.com/dotnet/2015/09/28/whats-new-for-net-and-uwp-in-win10-tools-1-1/. Doing this fixed the Release build for this application and allows us to create a package ready for Store deployment. Hope this helps others. I’ve been using my Surface Book for a while now, so I’m used to the speed and convenience of the Windows Hello sign in experience which means I can just look at my monitor and it signs in. On the phone the experience is basically the same – it looks for you and signs you in. However, I do feel that it’s actually slower than simply tapping the pin code. At this stage I’ll leave Windows Hello enabled but I suspect that it may annoy me, more than it is a convenience. I don’t have one of the continuum docks yet, and since I purchased a grey-imported phone I wasn’t eligible for http://microsoftdisplaydock.com.au/, the Microsoft Australia offer for getting a free dock (personally I think this should be open to anyone willing to sync $700+ dollars into a Windows Phone at this point given the dire lack of feature complete apps). However, I do have a TV that has a Miracast dongle (https://www.microsoft.com/en-ie/mobile/accessory/hd-10/) attached to it, so I went ahead and tapped the NFC pad, and 10 seconds later the device was connected, displaying out my TV. The phone turns into a track pad and the whole TV is used for whichever app is being displayed. 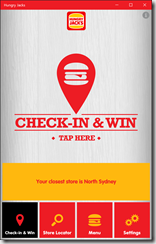 I went and downloaded an app we’ve just helped deliver - https://www.microsoft.com/en-au/store/apps/hungry-jacks-shake-win-app/9nblggh648x0. Looks brilliant running at full desktop size on a TV screen. In previous posts I’ve talked a lot about visual states, application state and control states. However, one thing that I’ve been trying to wrap my head around is the disconnect that happens when you start to consider that an application can have multiple windows.What’s rather ironic is multi-window support was something we took for granted back when we were building complex line of business Windows Forms/WPF applications. However, the iOS era lead to the dumbing-down of application development – in the Apple world users are only able to do single operations and apparently can’t wrap their heads around anything more than a single screen full of data at a time. This lead to application models, and page/view lifecycles that assume that the application is either in the foreground, or in the background; no middle ground where the application is visible, just not in focus, which is the case in a multi-windowed environment. The interesting side effect of a multi-windowed environment is less to do with having multiple applications open and visible at the same time but that a single application can have multiple windows open at the same time. One of the best features of the old Live Messenger application was that you could have each chat open in a separate window, each of which could be independently moved, pinned and closed. Currently, nearly every messaging application, be it Messenger (Facebook), WhatsApp, Skype or Line, use a similar single-window model that’s extremely painful when you are actively participating in multiple chats. Of course, most platforms all support some limited form of multiple window support, for example when projecting the contents of the screen to an external monitor. The Universal Windows Platform has full support for the creation and management of multiple windows within a single application instance. A recent post on the Redmond Pie shows a concept of what multiple windows on an iPad would look like. It’s evident that multi-windowed applications are going to play an important part of all future platforms. This leads me to my next challenge. In the context of a single window application we can think of the current page of the application as mapping to a state in the application. Transition from one state to another equates to moving between pages. Within the confines of a page, there may be multiple states; these map to visual states on the page. However, going the other direction, how do we represent multiple windows? Windows don’t map to another higher level set of states, since there may be any number of windows opened, and they can all exist in relative independence. So, we need a different concept to represent them, which I’ve termed Application Regions. By default all applications have a default or start up region. 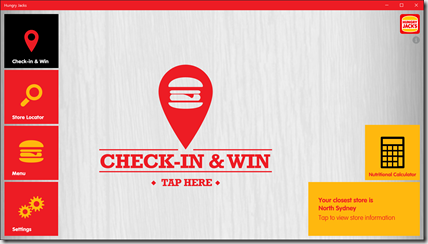 A region has a current states, which will normally correspond to the current page or view. Regions can be created and closed independently, and usually correspond to separate windows (although I’m currently considering whether a region can manifest itself in other ways). Regions can also have different startup pages (ie a different startup state), and might in fact have a completely different set of states. In the same way that we need a state manager to assist with the management and tracking of states, we’ll need a region manager that understands how to create, track and close regions. Whilst the region manager will itself live in the platform agnostic core of our application, it will of course need a mechanism to spawn new windows (ie when a region is created). The region manager will also need to be clever enough to do the right thing when run on a platform that doesn’t support multiple windows. On such an environment, when a new region is spawned, the new set of pages/view will simply have to be added to the navigation stack of the existing window; when the user closes the region, the pages/views will be popped off the stack, returning to the last page/view of the previous region. This is just some early stage thoughts on the concept of application regions v’s application states. 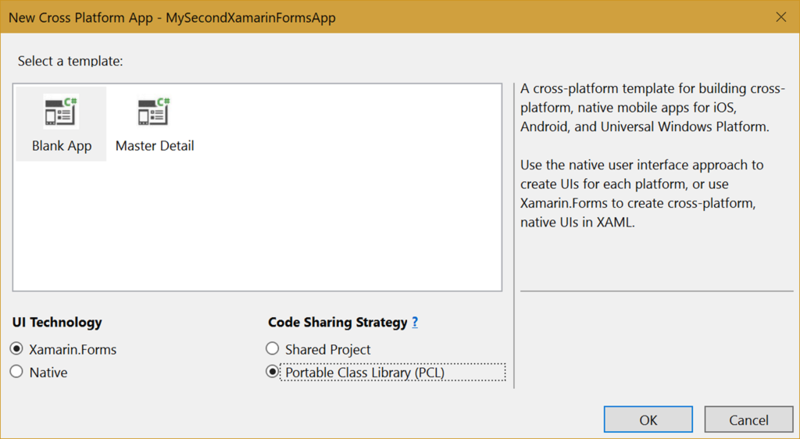 Last year I posted on “Taking Visual States Cross Platform to iOS and Android with Xamarin” and is a topic that I often come back when discussing the design and development of mobile applications. Let’s start by discussing what visual states are and why they’re important when building applications (and this really applies to any application, not just mobile applications). During the design of an application it’s common to prepare wireframes and visual designs that document each page, the key elements on each page and any associated behaviour. This typically includes documenting when elements are hidden or shown, often in response to either data changes or user interactions. 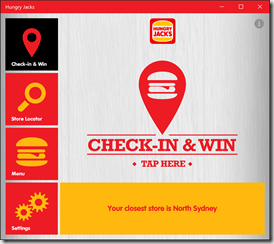 The following screenshots show a recent application we worked on for Hungry Jack’s for Windows 10. This is the same page of the same application, running on the same device, just with a different window size. As you can see the difference between the first two images is quite significant as the navigation bar switches from being at the bottom (similar to what you’d expect for mobile) to on the left side. The third image simply augments the position of elements further to make better use of the available screen size. Thorough analysis during the design phase will reveal all possible layout combinations for a page; these combinations are what we refer to (at least in the Windows/XAML world) as visual states. 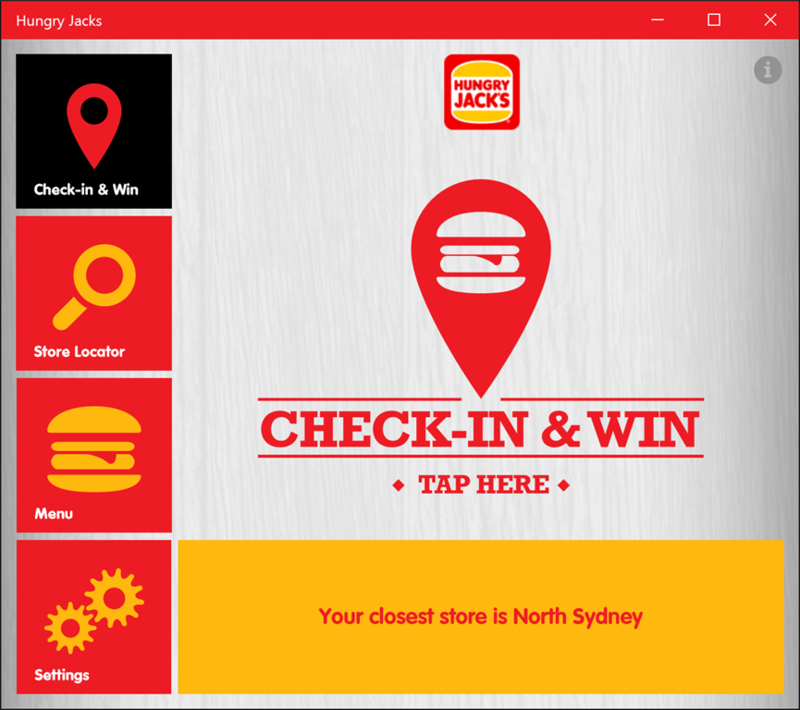 In the case of the screenshots from the Hungry Jack’s application, each of these layouts represents a different visual state for this page. If you don’t take the time to determine what visual states exist on each page and what triggers a transition between visual states, during development you’ll find yourself toggling attributes on element on the page in an attempt to recreate each required combination. This lack of a structured approach makes it not only hard to layout each page, it also makes it hard to test as there is no definitive list of layouts that need to be verified. On the Windows platform, Visual States are something we take for granted; they can be declared in XAML and Blend has support for designing each visual state. However, other platforms are not so blessed and have to resort to changing attributes manually in code. Some cross platform technologies make use of data binding to allow visual elements to be dynamically updated based on changes in the corresponding data (ie the view model). These include MvvmCross and Xamarin.Forms. However, data binding should be reserved for updating data values on a view, not controlling the visual states on a page. Learning to develop for the Windows platforms, developers go through a series of learning steps. Coding Changes: Most developers come from building applications or web sites where they’re used to having to set data values in code. Converters: Equipped with the new found power of data binding, developers often go nuts and start data binding everything, including using properties on the view model to control when items should be visible. This is where they look to use converters to adapt properties on the view model (eg XYZIsVisible which would be a bool) to attributes on visual elements (eg XYZ.Visibility which is a Visibility). The issue with this is that at design time, in a tool like Blend, it’s very difficult to see what the layout looks like. You can’t simply change the Visibility property on elements, since they’re now data bind. You can temporarily remove the data binding, but then of course you forget to put it back and then spend hours trying to work out why the application is broken. Ok, so now that you have the basics on what a visual state is, and some background on why I believe visual states are so important, let’s discuss the elephant in the room….. 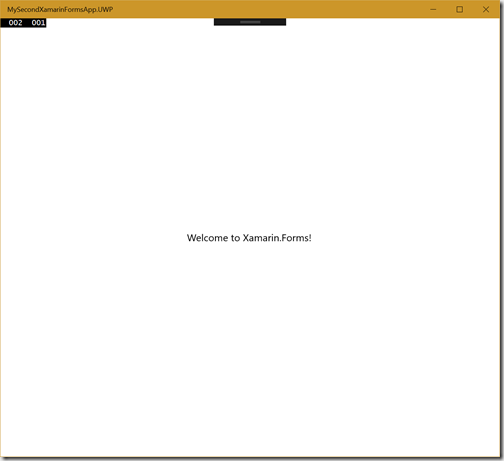 Visual States only exist in XAML on the Windows platform…. making it very difficult to use visual states when building cross platform applications. So, what can we use when building cross platform? Well let’s go through the progression that developers go through. As you’d expect, all platforms support developers being able to adjust values via code. Unfortunately, this is where most developer technologies end, for example neither iOS (Objective-C, Swift) or Android (Java) support data binding out of the box. There are some third party solutions that attempt to bridge this gap, such as the data binding support in MvvmCross and Xamarin.Forms. In fact both these options provide not only the ability to data bind, but also enable MVVM and support using converters as part of data binding. I’ve always felt that one of the weaknesses of Visual states on the XAML platform is that they’re named using a string, and the only way to reference them when changing state, is using a string literal. So, for my attempt at a visual state manager I’m going to have my visual states defined as an enumeration. In fact, each group of states will use a different enumeration type – thus each visual state corresponds to a unique enumeration value. The end game is to be able to declare visual states in a relatively fluid manner, as shown in the following example which defines two groups based on the enumerations SecondStates and SecondStates2. In my next post we’ll look at the different classes that make up the visual state manager and the extension methods that allow for the fluid declaration seen in this example. Last week we were trying to resolve an issue that had been raised in an application we were building for the Universal Windows Platform, where the user had to press the back button twice in order to navigate back to the previous page. Initially we thought that we must be subscribing to the hardware back button on Windows 10 Mobile, as the issue seem to only manifest itself on mobile. However, after eliminating all calls to subscribe to the back button, we were still seeing the same issue. After a bit of further testing the issue only seemed to arise if we were navigating to a new page with the pane of the SplitView visible, but not always…. Eventually we tracked it down to the scenario where the DisplayMode is set to Overlay and the pane of the SplitView is visible (ie IsPaneOpen set to true). Navigating to a new page without first either changing the DisplayMode to Inline, or closing the pane, will result in the pane staying open, and unfortunately it still keeps the event handler on the BackRequested event on the SystemNavigationManger. Simple solution: make sure that you force the pane closed before navigating by setting IsPaneOpen to false (assuming the DisplayMode is set to Overlay). This session provides an overview of the Universal Windows Platform (UWP), a single platform that developers can target to build applications that will run across a myriad of devices. 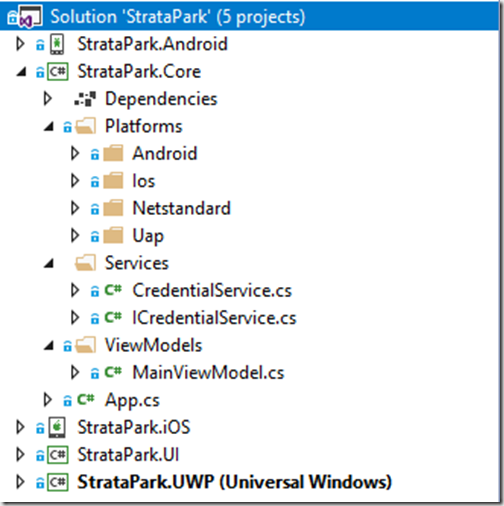 After years of progressive convergence, UWP offers a single application model, a single developer experience and a single store. The session will discuss building applications that can run on any device, whilst still being able to leverage the individual device features. It'll provide a roadmap for tools, frameworks, and guidance on building for the Universal Windows Platform. The Universal Windows Platform offers developers a unique opportunity to build applications that run on an extensive range of devices. However, this comes the challenge of how to scale the user experience and how to adapt to different device capabilities. This session will dig deep into the use of Visual States, adaptive triggers, device family and feature detection, new binding syntax and new controls. 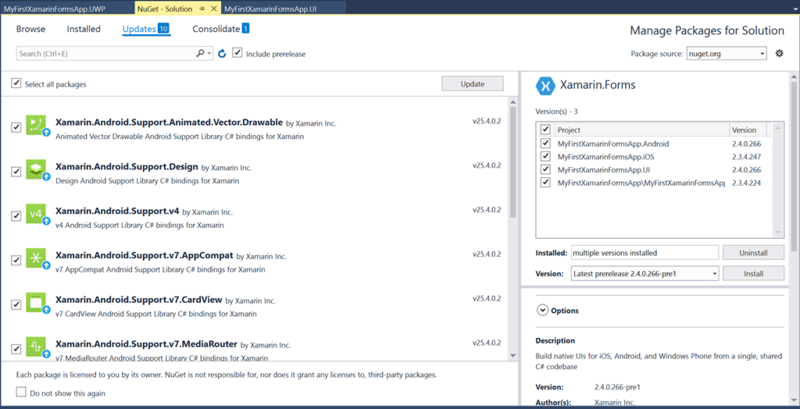 Back in April I talked briefly about Compiled Data Binding and how it improves performance throughout your XAML application by eliminating all the reflection calls that go on in the background with traditional data binding. Recently I've been spending more time investigating the best way to structure code and design time data to ensure high quality applications. One of the easy pitfalls with the x:Bind syntax is a lack of understanding of the context of the data binding. To start with, let's recap how traditional data binding works: Elements on the page have a DataContext, which you can think of as the object that is being data bound to. The DataBinding expression includes a Path, which determines the property on the DataContext that a particular attribute on an element is being data bound to. By default the DataContext flows down the page/usercontrol as each element inherits the DataContext from its parents. However, it is possible to override the DataContext by setting it explicitly for each element. There are plenty of sites/pages that can provide more detail on this form of data binding. This references the Name property on the MainViewModel entity returned by the CurrentViewModel property on the page. What's not immediately obvious here is that despite indicating that the Mode is OneWay (ie it should detect changes) there is no code that notifies the data binding framework if the CurrentViewModel changes. This could happen if the DataContext changes, for example in the following code where the OnNavigatedTo method has a small latency before it sets the DataContext. In this case, the underlying DataContext is updated after 2 seconds to the new instance of the MainViewModel. This means that the CurrentViewModel value has also changed. However, there has been no attempt to notify the data binding framework, and subsequently the page, of this change. There are a number of ways to address this issue, the two I'm going to present here both rely on the Page implementing the INotifyPropertyChanged interface, exposing an event PropertyChanged, which the data binding framework will listen for. The only other difference is that there is an extra level of indirection in the x:Bind expression. Now as the DataContext on the Page changes the Wrapper class will detect the change and raise the PropertyChanged event indicating that the "Entity" has changed. 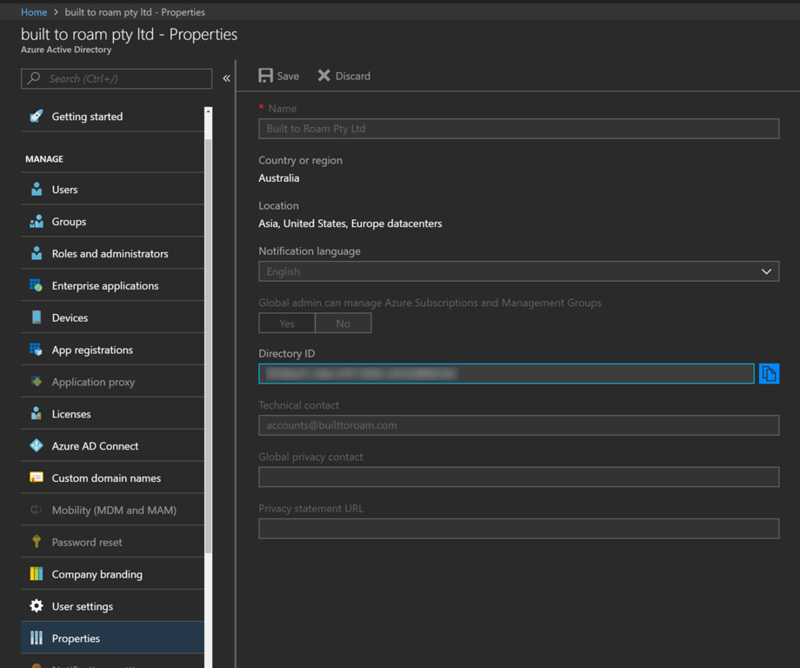 Since x:Bind connects to any object in the binding path that implements INotifyPropertyChanged, it will handle this event and look for the updated Entity property, which will be the new DataContext value. Having worked with each of the different XAML based technologies Microsoft has released (WPF, SL, WP, Win, UWP...), I've long been a proponent of the use of visual states. Jerry Nixon discusses using visual states to build Windows 8.1 application. I've written articles that talk about using visual states for changing page layout to reflect states within a view model. Let me talk briefly about why I favour visual states and why the visibility property is often misused.... then we'll get onto discussing using states for building applications. Developers new to working with XAML discover that they can hide/show items on the page by data binding a Boolean property on the view model (this assumes they're using mvvm/data binding) with the visibility property on an element. This of course requires a Boolean to visibility converter. It works nicely and assuming the developer has implemented INotifyPropertyChanged and is raising the PropertyChanged event correctly, the elements on the page will hide/show as required. Whilst there isn't anything wrong with this approach, it makes it difficult to design the layout in Blend. In order to hide/show elements, you have to modify the design time data (assuming you've bothered to create design time data). The alternative is to use visual states to describe how the page looks for each state. Blend for Visual Studio includes a States window which allows for one or more states to be invoked, making it easy to create, view and edit visual states, at design time! - A page can be made up of any number of visual state groups, and can have a single visual state selected at any time from each visual state group. Animations can be run as part of transitioning between states. - Controls (including Usercontrols) can contain their own visual states that determine how they look under various conditions (pressed, checked, selected etc). What's interesting about this is that the navigation between pages is actually the odd one out. Most application developers devote a large portion of the application development process to ensuring the navigation between pages is correct. They spend very little time working through the visual states of pages (often hacking away at hiding/showing elements on the screen). So, what happens if we make the assumption that each one of these scenarios can be expressed as a series of states? We'll use this as the basis from which we can track states at an application, page and control level. Yesterday I had the privilege of being involved in the delivery of introductory computer science and programming material to year 10 and 11 students out at Mitchell High School in Blacktown. The material was from http://studio.code.org which has a fantastic repository of material for high school students (specifically https://studio.code.org/s/20-hour which is the course we were delivering). This program was a combined initiative from The Smith Family and Microsoft and the first day (yesterday) aligned with the release of Windows 10. It was fantastic to see the energy in the room and the excitement from the students as they played and explored all the new features of Windows 10.